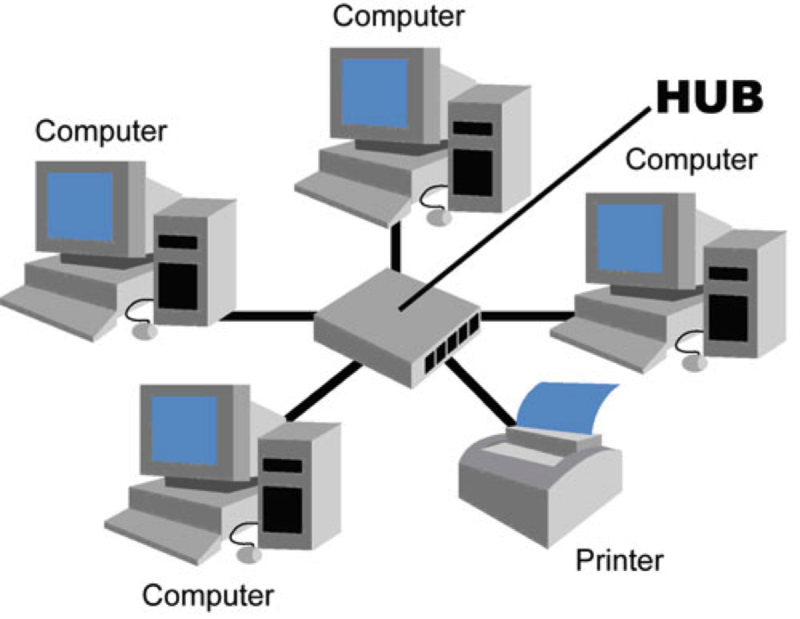 In networking, Topology is the physical layout of network. It is also known as design and structure of a network. Topology can be depicted as Physical and Logical. Physical Topology represents the placement of the network with its devices and systems and logical represents the flow of data. A topology with its physical structure can be Ring topology but data flow can be Bus topology. In this post we will discuss different types of topologies one by one. In bus topology are systems are connected to the central bus which is network cable and also known as trunk. Data travels in both directions. Each system checks the header of data for destination address. If address does not match, machine simply ignore it. If address is the match, machine accepts data. At both ends of bus, a terminator is connected which terminate signal after a specific time period. If a bus has only two end points, its called linear bus or linear trunk. If bus has more than two end points, it is called distributed bus or distributed trunk. In Star topology each host machine is connected to central node which can be a Hub or Switch. Central node is a server and Hosts are the clients. Hub works as a signal repeater. All the traffic on the network passes through central node. Star topology is considered the most easiest and mostly used topology over LAN because it is very simple to add additional nodes. In Ring topology all hosts are connected in such a circular way that they form a ring shape. In Ring topology when a machine sends a data, it travels to each node in the ring until it reaches its destination. Each hosts works as a signal transmitter to keep the signal strong. Each machine checks the data header for destination. If its a match, data is accepted otherwise it is being forwarded to the next host in the ring. In Mesh topology each node not only accept its own data but it also act as a relay for other nodes which mean it should propagate data on to the network until it reaches its destination. 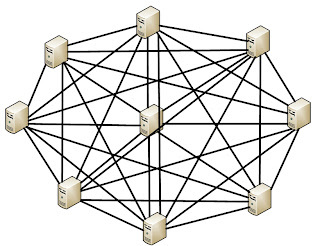 If in a Mesh network all nodes are connected to each other, it is called Full Meshed network. 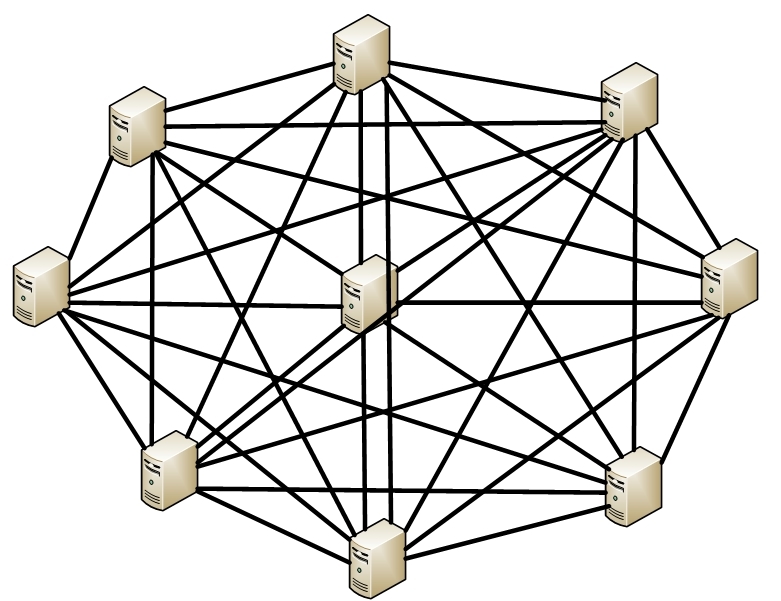 If some nodes connected to more than one nodes then it is called Partial Meshed Network.